#187. Along the Monterey Peninsula. 13.5 x 23, oil on canvas, lined. "Gilbert Munger 1873" lower right. The view is looking southwest over the present site of Carmel California to Carmel Bay beyond. Point Lobos is visible at the left. Sold by A. J. Kollar Fine Paintings, Seattle, in November 2000, then again in Mar 2005 to a Seattle area collector. See ad in American Art Review XII, No. 5 (October 2000), p. 36. 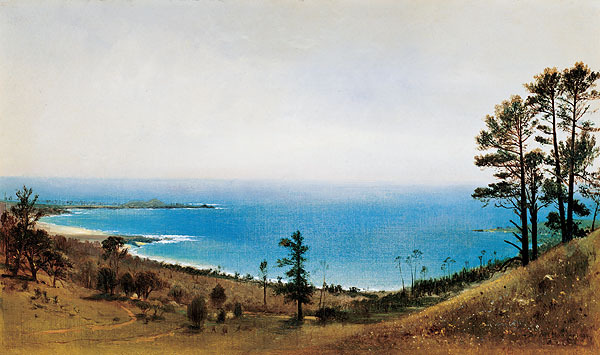 Munger is recorded as painting in this area in 1873. 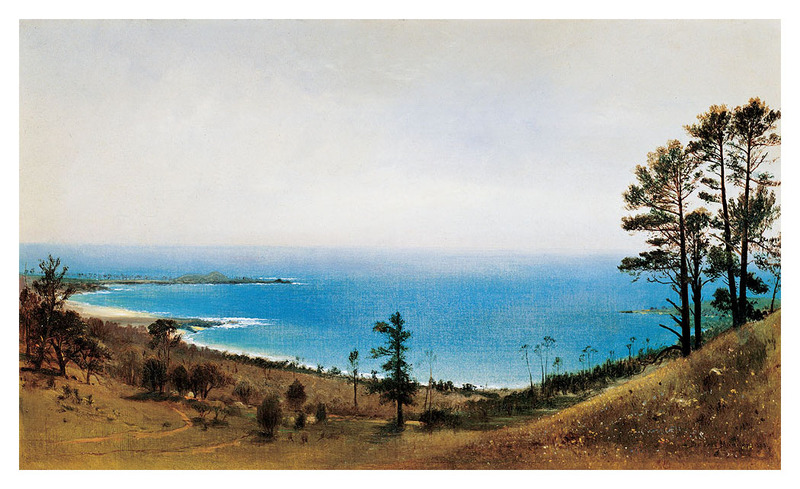 The San Francisco periodical The Illustrated Press may have been describing this painting in January 1874 when it wrote: "The Bay of Monterey, by Munger, is a fine sketch, but the deep blue of the water is unnatural, contrasted as it is with the gray tint of the overhanging clouds." Note that painting #79, thought to be of the same region, in nearly the same size and uses a similar palette. QFD 25. Image from Kollar transparency.